8" station / duty boot. Top grade military AB polishable, water resistant leather. Compressed leather toe cap, reduces wear and scuffing. DRYZ insole absorbes and traps moisture to keep feet dry, prevent odor and control bacteria. Oblique shaped raised steel toe provides extra room in the toe cap for cushion insole (included), or custom foot beds. Vibram Olympia Lug Sole: Thermo, Chemical, and Slip Resistant. New Kevlar Puncture Plate (Kevlar is a lot more durable than metal, kevlar is also lighter and does not absorb heat). "The most comfortable station boot you'll ever wear." I've had two pairs of these boots and have used them almost exclusively since 2000. The steel plate and steel toe on my first pair were harsh in the Winter –- the snow and icy roads would turn the boots into a cooler/freezer and my toes would go a little numb so I started wearing a softer boot during that time, but those weren't half as comfortable as these boots. My second pair, that I purchased some months back, has a composite toe, so I'm hoping to be able to wear them through the cold. I've never had a better shoe or boot hold up so well –– or hold ME up so well, let alone for so long. I have bad knees and the comfort, stabilization, and support of these boots allow me to work around the clock and the only thing that bothers me is the sound of stomping around at o'dark thirty, but I guess that's part of their charm. Don't accept knock-offs or imitations, (e.g. Galls Firefighter III's). These are the originals and I swear you'll never wear a better work boot. 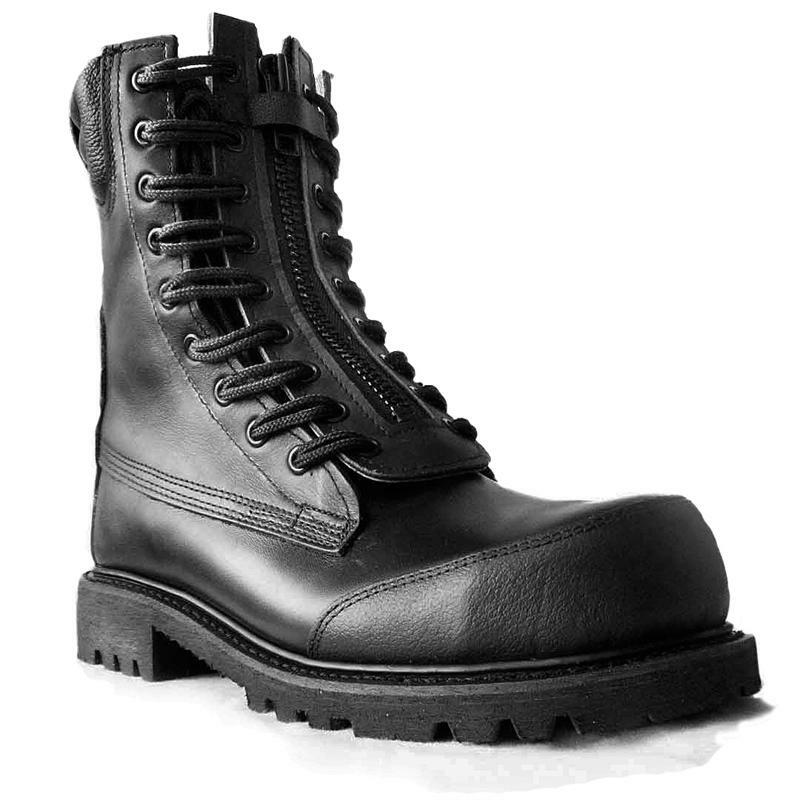 I will be ordering my 3rd pair of these since the age of 15. these are great boots and so comfortable. I purchased these boots and they did not disappoint. Extremely comfortable and still look professional after years of hard wear. I would recommend to anyone looking to invest in a great pair of boots. I got these boots spring of 2014 and they still look great. I plan to get some new souls put on them shortly and some lace zips. I've been wearing safety toe boots for over 20 years and as far as durability these are the best I have owned. Comfort level is about a 3.5 out of 5. The boots are worth every penny. How much do they boot weight? I'm debating on getting these or the Thurgood EMS boots. I'm on my feet a lot as an EMT. Looking to see which boot is lighter and more comfortable. Does anyone know of a place to try on in person in the Los Angeles Area? ?